Abia State Commissioner of Police, Anthony Ogbizi has warned members of the proscribed Indigenous People of Biafra, IPOB, against harassing residents in a bid to enforce its sit-at-home order on Saturday. The Commissioner, who described the group as “irresponsible” warned that IPOB members caught would be prosecuted. He gave the warning during a patrol exercise tagged, “Operation Show of Force”, in Aba. 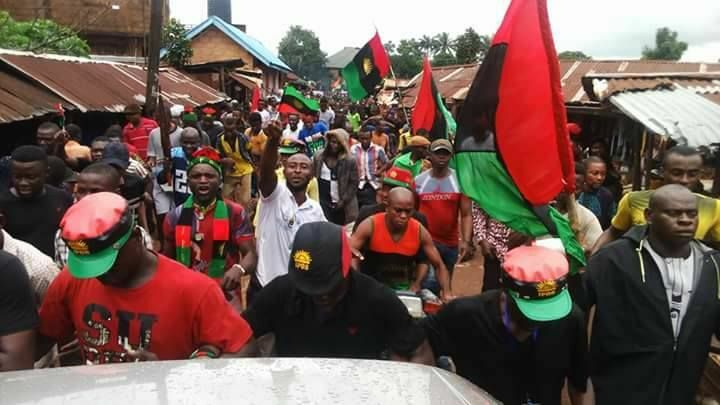 Represented by the Area Commander, Aba, ACP Peter Opara, the state police boss reminded residents that the ban against IPOB was still in force. He called on traders to go about their normal businesses without fear as the Police in the state have the capacity to protect lives and property. He said, “Residents of Aba are advised to go about their businesses without fear; the Police have the capacity to protect lives and property. “I assure you that anyone who tries to molest residents or traders will be arrested and prosecuted. You have our security numbers; call us in case of distress. “The markets will open. I’m contact with leadership of the markets in Aba, they have assured me that the markets will be open tomorrow. “We have had a joint patrol with the military. What is the link between the election in Anambra State and markets in Aba? This tells you how irresponsible IPOB is,” he said.